Metrotel is an Allworx Certified Partner. We understand and exceed expectations. The result is that rare and unique combination of products that meets your needs today and tomorrow, works every day without interruption, has capabilities beyond others, lasts for generations, and provides cost savings from the very first day. Allworx makes it effortless to communicate. That’s why Allworx is the right choice for your business. Metrotel is an NEC Channel Partner. The DSX from NEC takes the lead with state-of-the-art innovations sure to make your business communications more efficient, profitable, and enjoyable. 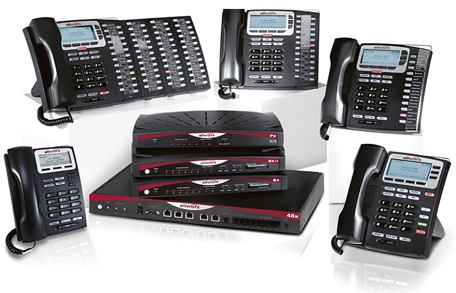 Innovation starts with the new sleek DSX telephones. All models feature the same thin, floating design, two position angle adjustment for effortless viewing, and built-in wall mounting. 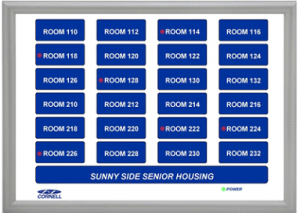 The 22-Button Display set features a large 3-line by 24 character display, four interactive soft keys and a built-in speaker phone. The 34-Button Display set is enhanced with a back-lit LCD display and illuminated dial pad (for improved low light viewing), as well as additional feature keys. An advanced model of the 34-Button Display provides a built in full-duplex speakerphone. Metrotel is a Factory Direct CORNELL Emergency Call System dealer. Providing a Complete Range Of Emergency Call Systems. When emergency situations occur, reliable communication is the key for a quick response. Whether it’s a patient who suddenly suspects a heart attack, a senior citizen in an assisted living facility who has fallen and needs assistance, or an emergency occurring in a multi-story building, possessing a reliable emergency communication system makes all the difference between saving a life and experiencing the ultimate loss. Emergency call systems from Cornell Communications provide the perfect lifesaving tool for nearly any situation. From visual nurse call stations to wireless emergency response pendants, area of rescue alarms, and clinic status lights, Cornell will provide the perfect solution for all your emergency response system needs. Experience peace of mind with the reliable emergency response systems available from Cornell Communications.